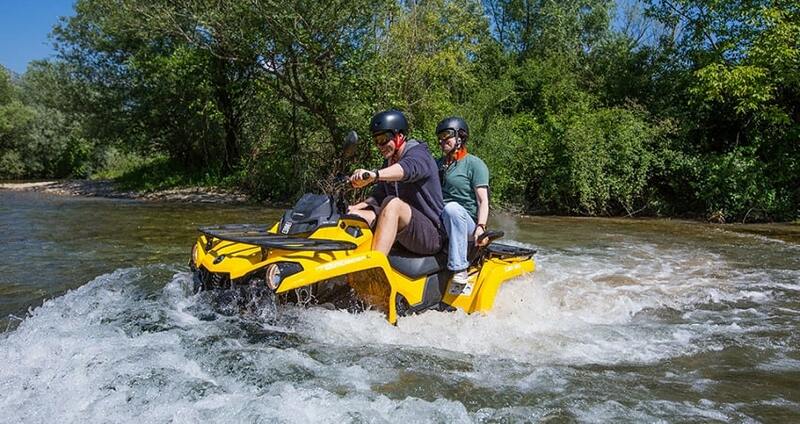 Participate in the Quad Safari and create unique experiences from your holidays in Side. 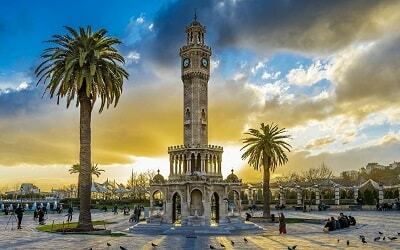 Side Quad Safari Tour takes place at the foothills of the stunning Taurus Mountains. Get the chance to observe and admire a pure and peaceful natural landscape, while riding your Quad bike. Experience driving in rough, dusty and muddy off-road trails and spend two hours full of excitement and adventure. Side Quad Safari adventure starts at the time when our team members pick you up from your hotel. 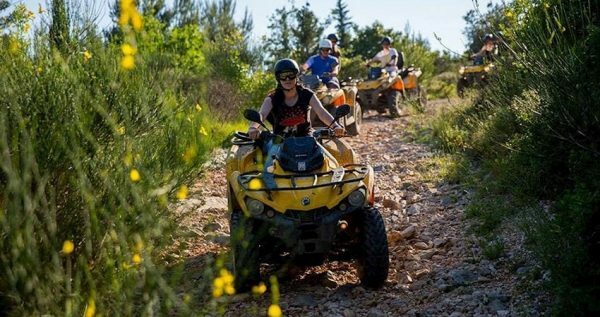 You will be travelling with modern, comfortable and fully air-conditioned vehicles towards the quad biking centre which is located at the countryside, on the foothills of Taurus Mountains. Once you reach the starting point of your adventure, a meet and greed session follows with the quad safari instructors. There, professional and experienced instructors will provide a detailed introduction on how to drive and control the quad bikes and they will also inform you about the paths that you will be following. In addition they will demonstrate safety procedures and equipment. By the end of the briefing, a test drive will take place to ensure that you understood the instructions. If this is your first experience with quad bike, there is nothing to worry about since no prior experience is required. In addition, no driving licence is required to participate in this excursion. When you are ready, the real adventure begins! The quad bikes will be exploring the paths by forming a convoy. Enjoy a worry-free driving experience as your instructors will be following you in order to provide assistance if needed. The quad safari track will impress you as you will be driving in a dusty off-road trail that includes wet and muddy parts. In addition, the track includes several physical obstacles, so get ready for the ultimate quad safari experience! During the 2-hour ride you will also get the chance to admire nature and breathe in fresh air. Between the slopes you can also enjoy stunning views over Taurus Mountain and appreciate the natural beauty of the forest. By the end of your two-hour quad safari experience, comfortable vehicles will be waiting for you. 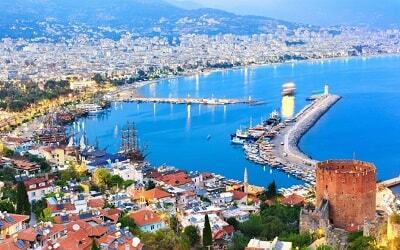 Full of excitement and with a sense of sweet tiredness, you will be driven back to the city. Side Quad Safari ends when you reach your hotel. 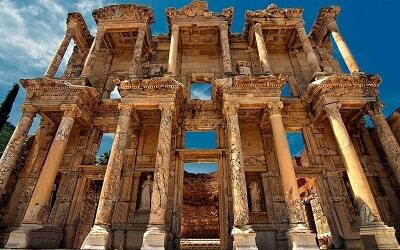 Your holidays in Side will never be the same after this exciting activity and you will create memories that will last for a long period of time. We recommend you to bring extra clothes with you as you will get dirty within this excursion. You can use showers at our facility to clean afterwards. Sunglasses, Sun Cream, Extra Shoes, Camera. Within our parkour you can also ride buggies. Check out our Side Buggy Safari please. 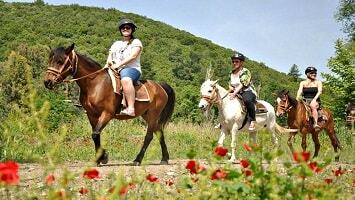 Side Quad Safari is probably the ideal way to explore the foothills of the magnificent Taurus Mountain. Drive in a dusty and wet off-road track and show-off the adventurous side of yourself. 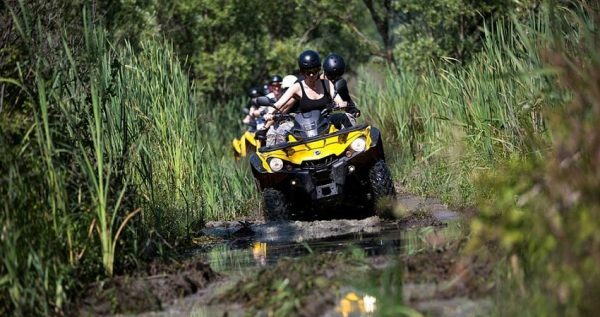 The Quad Safari excursion promises to offer you some stunning views, a peaceful natural setting and some major adrenaline boost. 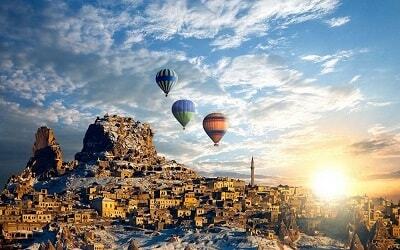 An alternative, adventurous and exciting way to make your holidays unforgettable! Depending on the schedule time of your Quad Safari excursion, our team members will pick you up from your hotel. 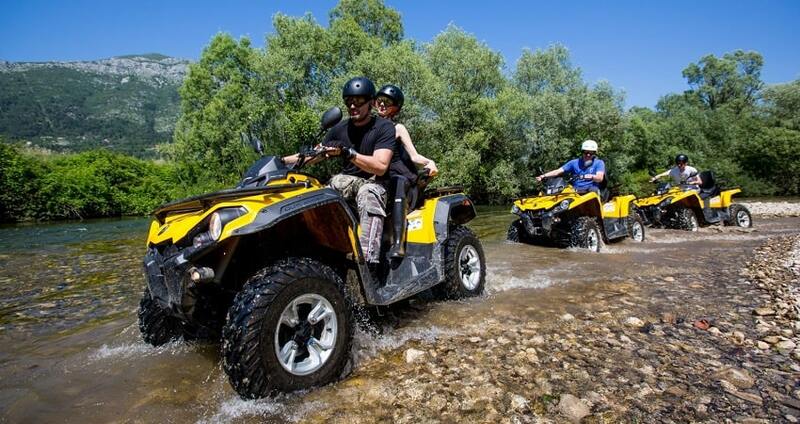 You will travel with comfortable and fully air-conditioned vehicles towards your destination which is the Quad Safari starting point, at the foothills of Taurus Mountains. Side Quad Safari takes place at an impressive track. During your two-hour off-road experience you will be passing through some dusty, wet and muddy parts of the track. Get ready for water fighting between the quad bikes and make sure that you wear comfortable clothes as you will get wet and dusty! Several natural obstacles can be found in the track that will escalate your quad safari experience. 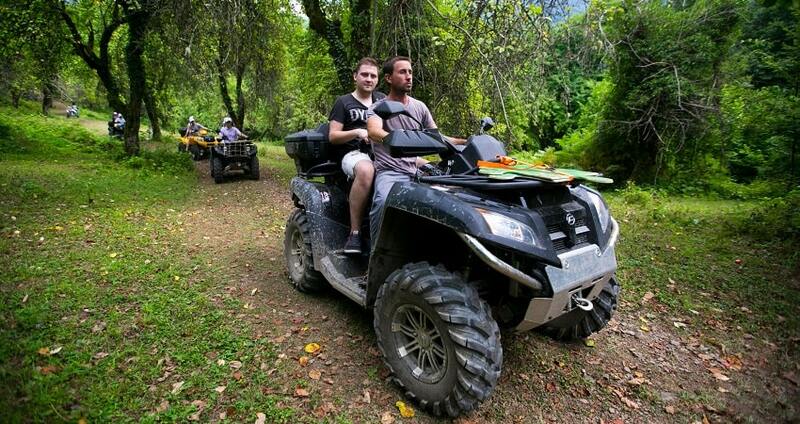 The quad bikes that you will be driving are fully secured and meet all the safety requirements. They are powerful bikes as they have 200cc engines and they can carry up to two people. 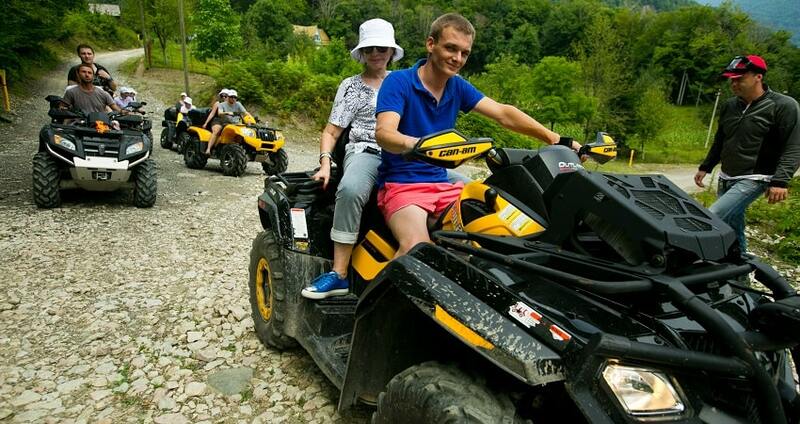 These quad bikes are the best way to explore in an alternative way the magnificent Taurus Mountains. Once you reach the quad safari station, you will have the chance the meet your instructors. 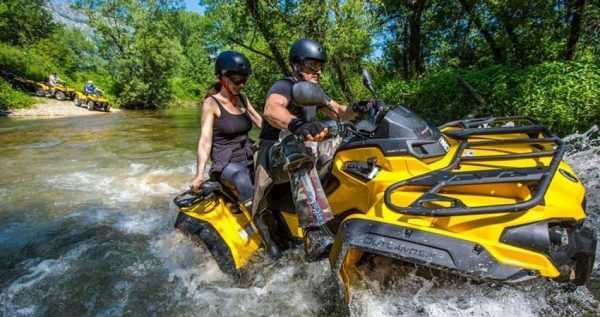 These professional and licensed instructors will inform you about the off-road quad safari track. In addition, they will provide a fairly detailed introduction on how to drive and control the quad bike. Instructors will also explain everything you need to know regarding safety procedures and equipment. By the end of the introductory briefing, a test drive will be made. It is important to note that no prior experience is needed and no driving license is required in order to participate in this excursion. Right after the test drive, quad bikes will form a convoy and start driving through the track. You should expect a fascinating route full of dust, mud and water. Natural obstacles will make your experience even greater and test your skills. During the 2-hour off-road driving, the instructors will follow the convoy in order to provide assistance if needed. Once you reach the finishing point you will be for sure excited and full of emotions. Comfortable vehicles will be waiting for you there in order to drive you back to your hotel. 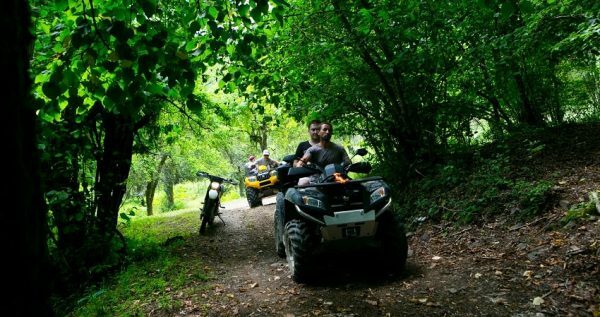 By the end of your quad safari experience you will feel adrenaline boosts and you will be amazed by the natural setting.